This site is an archive LISC Chicago. For LISC Chicago's current work, visit lisc.org/chicago. Located between Chicago Lawn and West Lawn — two of the Southwest Side’s largest and most historic communities — the Greater Southwest REACH Center offers a wide array of services aimed at helping local residents cultivate long-term financial stability. In addition to the job placement, financial coaching and income support services offered at all LISC-supported Centers for Working Families (CWFs), the Southwest REACH Center provides housing counseling — a service that is particularly important given the area’s large concentration of single-family homes. A branch of the Greater Southwest Development Corporation, the Southwest REACH Center also offers computer training, English classes and home repair courses for seniors. Its comprehensive approach to financial wellness complements the center’s emphasis on community development as a means to improving quality of life on the Southwest Side. Learn more about the Greater Southwest REACH Center CWF in this week’s installment of a newly launched LISC Chicago video series. Check back with LISC-Chicago.org every Tuesday between now and July 14 to learn more about another Center for Working Families in the LISC Chicago network. 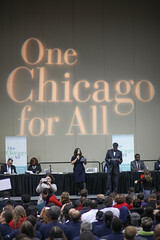 Stay up to date with the the latest news and events related to LISC Chicago. Local Initiatives Support Corporation Chicago connects neighborhoods to the resources they need to become stronger and healthier. © 2019 Copyright by Local Initiatives Support Corporation Chicago. All rights reserved.